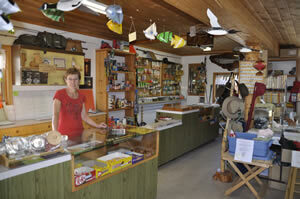 offers its guests only the best of everything! 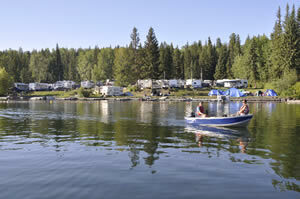 Our RV & Campground is a living picture situated on the lake surrounded by pine, spruce, fir, and aspen. Very clean and well maintained park like setting. For your convenience, there is a showerhouse, washrooms and laundry facilities. Full hook-up includes power, sewer, water and TV hook-up (10channels). Each site has a fire pit and a picnic table. Wireless High Speed Internet available throughout the resort. 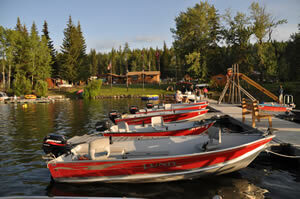 we have the best organized dock system in the area.